Hundreds of once out-of-school youths and unemployed individuals graduated from Malampaya Foundation, Inc.’s (MFI) social investment programmes on December, 2013 and are now ready to become more productive citizens as they become experts in their chosen fields. Graduations were held by MFI’s capacity building programs in the Malampaya Gas Project’s zones of impact which include Bridging Employment through Skills Training (BEST), Project Galing at Negosyo Dulot ay Asenso (GANDA) and Sanayan sa Ikauunlad ng Kaalamang Pangkabuhayan (SIKAP). 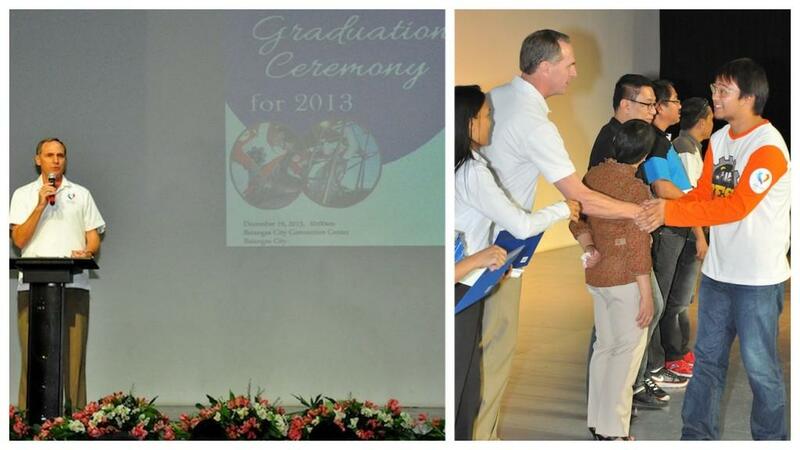 Over 500 finishers of short-term courses under MFI’s Project GANDA and SIKAP celebrated their graduation on December 10, 2013 at the Keppel Training Center in the municipality of Subic. 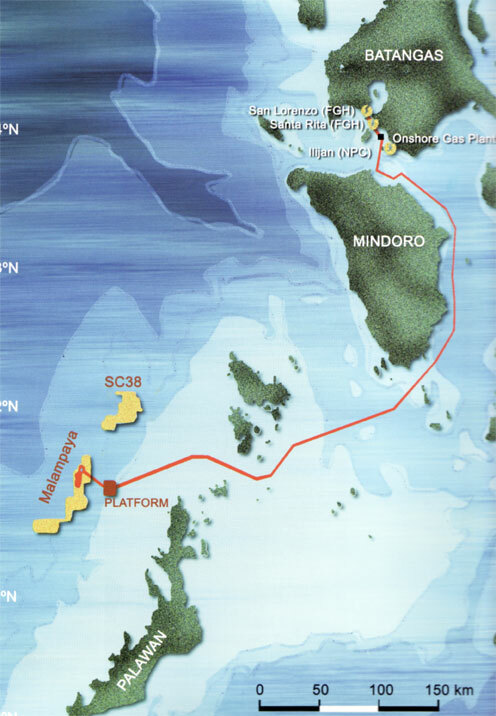 The graduation was graced by officials and representatives from Shell Philippines Exploration, B.V., MFI, Subic local government, Subikeña and Keppel Subic Shipyard. Courses completed by the graduates under Project GANDA were in commercial cooking, food processing, soap-making, industrial sewing, manicure-pedicure, housekeeping, reflex massage, housekeeping and hairdressing. Under SIKAP, courses finished were in computer hardware servicing and consumer electronics servicing. Project GANDA and SIKAP are capacity-building programmes geared for enterprise development, employment or self-employment of indigents, out-of-school youths, women and fisherfolk families. Four hundred eighty (480) new graduates of MFI’s BEST programme were granted their NCII certificates on December 19, 2013 at the Batangas City Convention Center witnessed by officials from the Batangas City government, Technical Education Skills Development Authority (TESDA) provincial office and the Department of Labor and Employment (DOLE) provincial office. The graduates, hailing from the different municipalities of Batangas province, consisted of 180 piping insulators, 180 scaffold erectors, 60 shielded metal arc welders, 30 pipe fitters and 30 in electrical maintenance. MFI trustee James Swain [left] inspires the graduates. 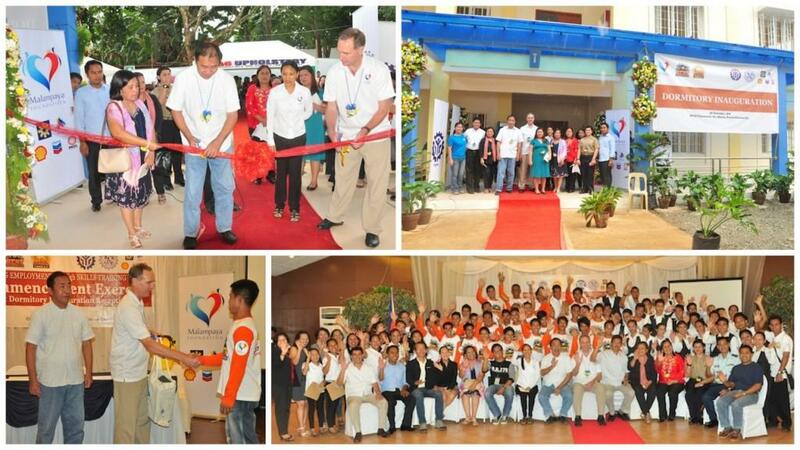 Graduates of MFI’s BEST program are linked and employed in various industries in Batangas and overseas. Sixty nine (69) Palawan BEST scholars received their NCII certificates after completing their 3-month vocational schooling at Puerto Princesa School of Arts and Trade (PPSAT). The graduation ceremony was held after the inauguration of a small dormitory built within the premises of PPSAT, which will house future BEST scholars of MFI. The back-to-back ceremonies were graced by representatives from the Palawan provincial board representatives, Palawan Council for Sustainable Development, TESDA, PPSAT and from the 1st and 2nd district congressional offices. Graduates were composed of 15 in Integrated Construction Skills, 15 in Shielded Metal Arc Welding, 19 in Food and Beverage Services and 20 in Housekeeping.